Yes, people today are definitely more skeptical than they used to be. Conversations among friends are less likely to be shallow and superficial than in the past. Concerns run deeper, fears lie closer to the surface and frustration often simmers deep inside. Even the happiest people are a little bit angry. The public is no longer looking for a perfect icon to worship. Most of them are looking for an equally-flawed friend with whom they can connect. The online world gives us instant access to information. This has sensitized the public to the absence of facts in most selling messages. Unsubstantiated claims in advertising are likely to fall on deaf ears. Much has been written about the importance of transparency as though transparency were still a choice. But it isn’t. You are transparent whether you choose to be or not. Search engines have removed any veil you might have hidden behind. Today’s customers have been lied to by the best. All but the stupidest of them can spot a half-truth a mile away. Make no mistake; there are still plenty of stupid people left in America. Fools must outnumber con men or the con men could not find enough to live upon. My seat-of-the-pants estimate is that roughly 15 percent of Americans are gullible fools whose prejudices outweigh their intellect. I’m not trying to be vicious. I just don’t want you to cling to those obvious exceptions that would appear to disprove the larger truth. Fifteen percent of the population is still a pile of people and frankly, you can make a lot of money by yanking their chain with hyperbole, misdirection, overstatement and lies. But to me, writing ads that target stupid people is like beating up little children. I can do it. I just don’t want to. I’ll bet you don’t either. Eighty-five percent of your prospective customers are intelligent people with unprecedented access to information. And as such, they are a hard public to convince. These are men and women who have seen an actual war launched by imaginary weapons of mass destruction, an actual economy ruined by imaginary credit-default swaps, and billions of dollars bilked from hard-working investors through imaginary securities created by Bernie Madoff and his Wall Street cronies. Yes, today’s customers have been lied to by the best. As an ad writer, I’ve chosen to write ads for the intelligently suspicious 85 percent. It’s hard work, requiring clenched-teeth determination and a willingness to wrestle with advertisers who desperately want to turn back the hands of the clock. The simple truth is that Tom Sawyer and Huckleberry Finn are gone, Norman Rockwell is dead and the Reagan years are over. But I believe the best is yet to come for business owners who understand the new rules of communication. Come, the future awaits us. Mon, March 5, 9 to 5 in Tuscan Hall in Austin. Tuition is $500. 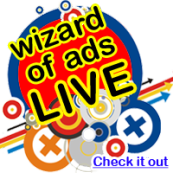 See and hear detailed explanations of successful ad campaigns.